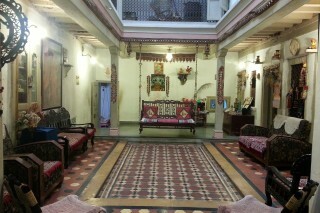 If you are fond of properties that give you a glimpse into a new culture, you will like this offering. 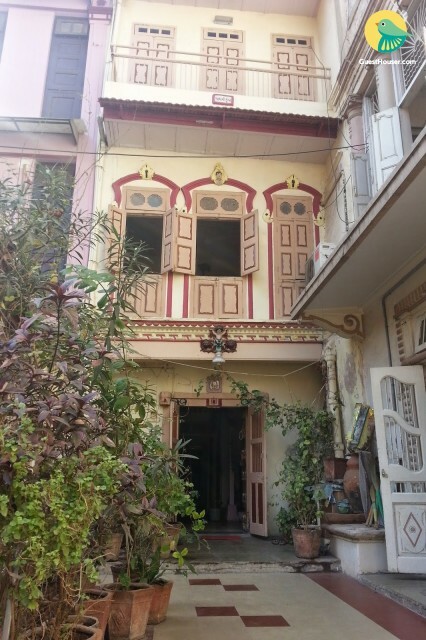 Part of a traditional Gujarati home decorated with handmade artefacts and coloured glass windows, the offering takes you a step closer to understanding Ahmedabad and its people. It is a set of four bedrooms, each with a mosaic tile floor and skim-coated walls that lend the rooms a rustic appeal. The rooms are sufficiently spacious and furnished with comfortable single beds. 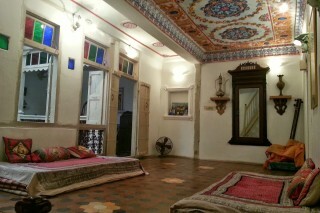 To get a feel of the comfort of old times, head to the hall decorated with a mural ceiling and a vintage mirror, relax on the floor seating, and try your hand at playing sitar. 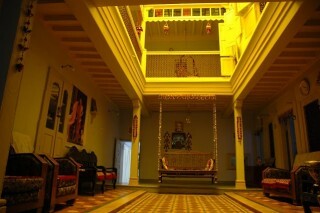 A set cushioned chairs and a classic wooden swing occupy the living area where you can interact with fellow travellers. The offering is moderately priced and a good option for groups of up to thirteen people. Rooms are clean and spacious. We provide Best and classy rooms to Guests. Travel Assistance is available Car rental can be Arranged.